Welcome to KQ Ranch RV Camping Resort in Julian, California. This secluded 5-star RV and camping resort is located just 40 miles east of San Diego. Only 4 miles south of Julian’s charming downtown district, the resort has access to the Pacific Crest and California riding and hiking trails. This makes the secluded K.Q. Ranch located in San Diego County a perfect choice for all RV, equestrian, and nature enthusiasts. K.Q. Ranch also offers the very best in amenities. Our spacious clubhouse hosts scheduled activities, movies, pancake breakfasts, steak dinners and games around two large, rock fireplaces. Creating a perfect blend of comfort and rustic charm. 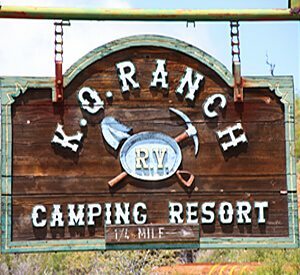 KQ Ranch has the perfect camping accommodations for those without an RV. Our spacious trailer cabins sleep 4-8 and are fully equipped with bathrooms and kitchenettes. They are also available for our members and their guests to use and have picnic tables and barbecue facilities adjacent to the sites. 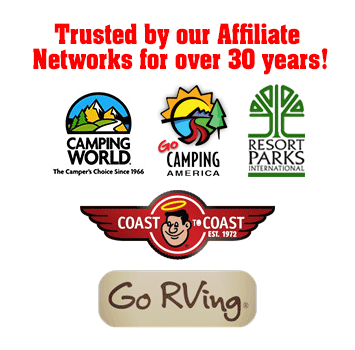 RVer’s can take advantage of choosing from 200 RV campsites of which are mostly full hook-up with personal horse corrals adjoining each site found on the property’s eastern ridge. KQ Ranch Resort is more than just an RV Campground. We have plenty of room for tent campers who love to sleep out in the natural beauty and clean air! KQ Ranch RV Camping Resort Features & Amenities For outdoor events, our amphitheater, complete with fire pit and extensive seating, is the perfect place to enjoy the great outdoor experience. Splash and play in our heated swimming pool or relax with a soothing soak in our oversized Jacuzzi. If you wanted to get some fishing in during your camping trip you can try to land the “big one” in the fishing lake. If you are looking for family activities, our RV campground offers a miniature golf course, perfect for families with children of all ages. As always, you can experience the beauty of the Southern California outdoors with our clean and spacious picnic areas. Julian CA offers great views of the Southern California countryside, giving you the rest and relaxation that you would expect on your RV camping trip. In addition to all of the serene beauty within our secured, gated ranch resort, you’ll also find large, clean bathrooms and showers with a spacious dressing area, year-round trailer storage, horseshoe pits, volleyball, tennis and basketball courts and laundry facilities. A fully stocked Country Store carries everything from RV accessories to ice cream and much more. So bring the entire family and make memories that will last a lifetime at KQ Ranch Resort! What do KQ Ranch and the Secret Life of Pets Have in Common?